It's Rachel from Healthy & Psyched. I am taking part in a Sugar Free February Challenge. I will be cutting out added sweeteners and only eating 2 pieces of fruit per day to raise money to feed homeless individuals and those who cannot afford a nourishing dinner. It's going to be hard since I love fruit (read: I eat like 5 pieces of fruit or more every day) and sweet treats (read: I eat chocolate every day), but I hope it will be worth it. The money raised will be donated to Nourish, a local business (with branches in Sheffield and Leeds), who run a 'pay-it-forward- scheme. It will buy meals for homeless individuals and those who cannot afford a nourishing dinner. Every day when I walk 12 minutes to work I see at least 5 people who are homeless and asking for money. I can't give money to them all, but I would like to do something to help. Food is an important part of my life and I feel like everything seems just a bit better if you've had a healthy and satisfying meal. That's why I would like to donate free meals to people who are living on the streets or who cannot afford to buy a warm nourishing meal this winter. I would like to support a local businesses with this campaign. I believe that Nourish fits with the ethos of my blog Healthy & Psyched, which is to eat fresh, whole foods that will improve health and wellbeing. Nourish also have a great selection of balanced vegan meals and I will ask that all of the meals donated are vegan friendly. Nourish will be donating 1 free meal for every 5 that we donate!! If I cheat and knowingly eat something with sugar I will donate £5 each time. Let's hope it doesn't happen and I am going to try my very best with this challenge. But I'm only human and the world we live in is saturated with sugar!! I want to be totally honest: I am trying to get healthier and raise money for a good cause. I don't want to end up not eating if I go out for a meal or to develop a disordered/obsessive relationship with sugar (I have suffered with orthorexia and bulimia, so this is something that is very real to me). With that in mind, I would ask that all donations are made with the knowledge that there may be a situation this month in which I accidentally or intentionally choose to eat sugar for whatever reason. I will obviously try to avoid these situations, but I want to be realistic about the chance it might happen. Please do not donate if you are unhappy with this. I am cutting out added sweeteners + sticking to under 2 pieces of fruit per day in February to raise money to buy meals for homeless individuals and those who cannot afford a nourishing meal. 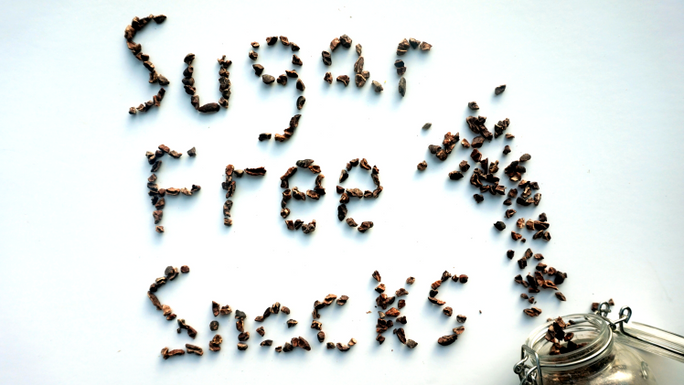 ****SUGAR FREE SNACKS E-BOOK**** 25 delicious snacks with no added sugar! Including - chocolate sweet potato truffles - toasted sesame granola - rustic tomato crackers - beetroot & mint dip BONUS- 10 tips for sugar free snacking at home and on-the-go. All recipes are suitable for vegans and have gluten-free options.